What does your birth date say about you, your friends, or your family? 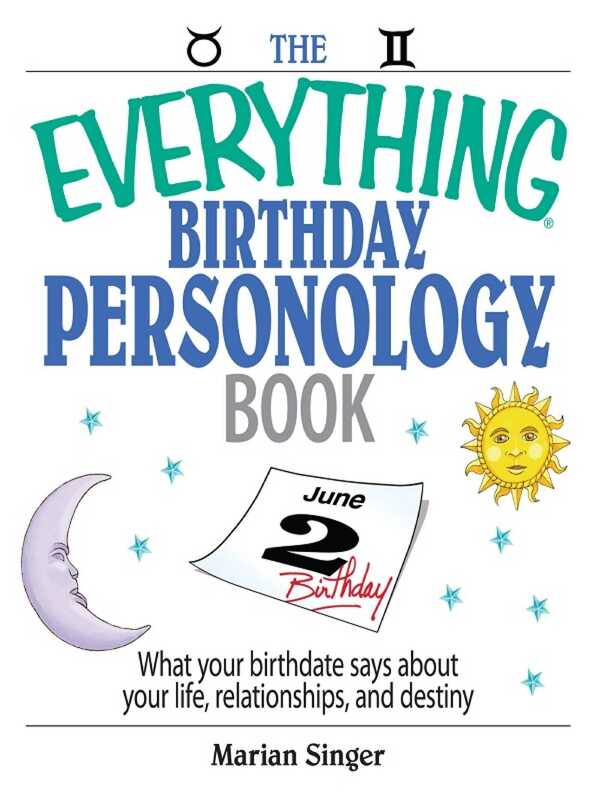 The Everything Birthday Personology Book combines the ancient arts of astrology and numerology to chart unique horoscopes based on birthdays. Profiles for each day of the year reveal positive and negative personality traits and how they affect your future happiness, well-being, and ultimate destiny. With advice on love, relationships, and career choices, The Everything Birthday Personology Book helps you apply practical spiritual guidance and psychological insight to your own unique place in the universe!